Complex Media doesn't employ any certified meteorologists, but from the chill in the morning air, and the fact that September is a day away, we're of the mind that summer is a wrap. And what a summer it has been. The London Olympics captivated the entire world as we watched Gabby Douglas make a name for herself, Michael Phelps become the best Olympian of all time, and Usain Bolt become the fastest human to ever walk the Earth. On the music front, we saw Nas come back to form with an outstanding album, Rick Ross sell more records than he ever has, and G.O.O.D Music drop the best song of the summer. Then there was The Dark Knight Rises, the movie that was so good, people saw the three-hour flick thrice. But with the good comes the bad. As New York City community advocate Tony Herbert said, this season was "The Summer of Guns." From the shooting in Aurora, CO, to the Sikh temple shooting in Wisconsin, this summer had no shortage of gun violence. Which is interesting because as we enter the third day of the Republican National Convention, we haven't heard any politicians speak on gun control. And we're not expecting any to mention it next week at the Democratic National Convention, either. So it goes. No matter what happened, however, it was discussed on Twitter. And as is always the case with Twitter, the comments and conversations sometimes got a little out of hand. And by a little we mean a lot. From insensitive jokes about national tragedies to claims that certain musical geniuses weren't actually responsible for their crafts, we've seen a boat load of craziness spewed out in 140-character blurbs. 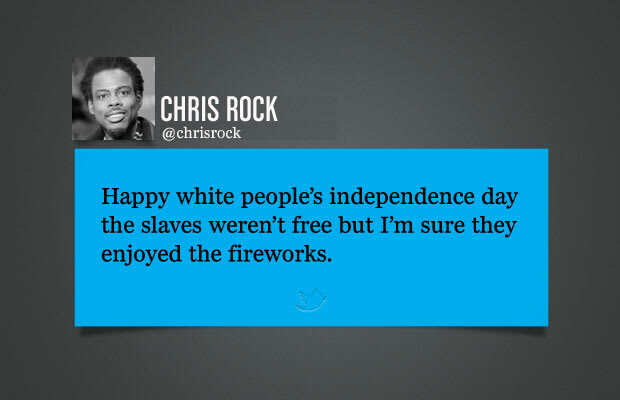 As we wave hello fall, check out the most controversial tweets of the summer.